Giving back to others and paying it forward are concepts that not only resonate with our company’s core mission, but also with what our family is all about. For us, helping others achieve their goals and live their dreams is the best way to make a positive impact on the world. To see my daughters also inherit this desire to help others just makes life all the more special! Amber and Duane have always been passionate about helping others, and I’m so honored to see them help create a very special fellowship for aspiring visual artists. Daniel Arsham Fellowship, presented by Market America | SHOP.COM is an amazing program that will provide YoungArts alums with grants to support their work, not to mention some excellent mentorship opportunities. 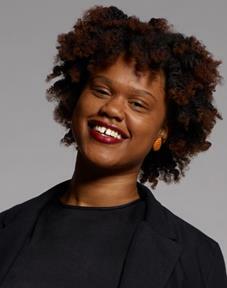 Congratulations to Shenequa for being named the inaugural Daniel Arsham Fellow! Miami, FL (December 6, 2017) – National YoungArts Foundation (YoungArts) President and CEO Carolina García Jayaram today announced the creation of the “Daniel Arsham Fellowship, presented by the Ridinger-McLaughlin Family,” a major new granting program for aspiring visual artists up to three years out of receiving their Bachelor of Fine Arts degree. Named in honor of acclaimed contemporary artist Daniel Arsham (1999 YoungArts Winner in Visual Arts) and supported by SHOP.COM and DNA Atelier Co-Founders Duane McLaughlin and Amber Ridinger-McLaughlin, the Fellowship further expands the organization’s support of YoungArts alumni as they pursue careers in the arts. For the next three years, one YoungArts alum a year will receive an unrestricted prize of $25,000 and year-long mentorship opportunities with Arsham. SHENEQUA, a 2011 YoungArts Winner in Visual Arts, has been named the inaugural Daniel Arsham Fellow by a jury of internationally renowned artists and YoungArts Master Teachers, including Derrick Adams, José Parlá, Teresita Fernández and Daniel Arsham, and YoungArts President and CEO Carolina García Jayaram. “The Daniel Arsham Fellowship would not be possible without the generous support of the Ridinger-McLaughlin family and the altruism of the visionary Daniel Arsham. Together we will create an essential bridge for aspiring visual artists to navigate the path between training and establishing a successful career in the arts,” said Carolina García Jayaram. “We are thrilled to be a part of the Daniel Arsham Fellowship and to help support aspiring visual artists across the country. Our family has a deep heritage in the arts, and this is an unparalleled opportunity to turn our passion into purposeful support,” said Duane McLaughlin on behalf of the Ridinger-McLaughlin Family. SHENEQUA was born in Charlotte Amalie, St. Thomas, U.S. Virgin Islands, and grew up in Miami, Florida. 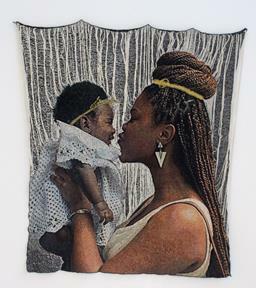 Her work often utilizes cotton, yarn and synthetic hair to explore the many layers of her heritage. SHENEQUA received her Bachelor of Fine Arts in fibers at Kansas City Art Institute in Kansas City, Missouri and her Master of Design in fashion, body and garment at School of the Art Institute of Chicago under the mentorship of Nick Cave and Liat Stemad. 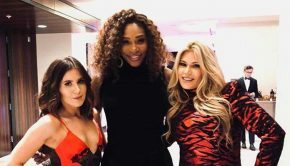 “The jury was unanimous in our selection. It was clear to us that SHENEQUA is an innovative artist and designer who not only demonstrates skill, but critical thinking, when it comes to developing her visual arts practice, fashion and design work,” said Teresita Fernández. To be eligible for the Fellowship, aspiring visual artists must be a YoungArts alum within three years of receiving their Bachelor of Fine Arts degree. Each year a jury of acclaimed artists will select a Fellow from a pool of visual arts candidates through a blind adjudication process. In addition to fully underwriting the Daniel Arsham Fellowship for three years, the Ridinger-McLaughlin Family will give $75,000 to YoungArts to support ongoing programming for alumni. On the evening of December 9, at the annual ÄRT MAISON party hosted by Duane McLaughlin and Amber Ridinger-McLaughlin, along with Loren and JR Ridinger of SHOP.COM, at their home Casa de Sueños in Miami Beach, Florida, in collaboration with Bentley Motors Inc., YoungArts will introduce SHENEQUA and raise a glass to celebrate the launch of the Daniel Arsham Fellowship. The event will feature Arsham’s original work Lunar Garden, featuring YoungArts alumni. The Daniel Arsham Fellowship is the most recent example of YoungArts’ ongoing programming expansion to support YoungArts alumni across three areas: professional development, artistic development, and presentation opportunities. Earlier this year, the organization announced a dynamic series of new programs including UP NEXT, career development symposia in Los Angeles and New York; IMAGINATION LAND: Fantastical Narrative, an exhibition curated by multidisciplinary artist and YoungArts Master Teacher Derrick Adams; and In Process: Homecoming, an interdisciplinary residency program. New York based artist Daniel Arsham’s work explores the fields of fine art, architecture, performance, design and film. Raised in Miami, Arsham became a 1999 YoungArts Winner in Visual Arts, and then attended The Cooper Union in New York City where he received the Jacques and Natasha Gelman Trust Fellowship Award in 2003. Soon thereafter, Arsham toured worldwide with the Merce Cunningham Dance Company as the company’s stage designer. The experience lead to Arsham’s ongoing collaborative practice with world-renowned artists, musicians, designers, and brands. In 2007, Arsham founded the architecture and design company Snarkitecture with partner Alex Mustonen. The practice has included collaborations with designers Public School, Richard Chai, and COS, as well as the design of the entrance pavilion for Design Miami, and a complete line of functional design objects. Arsham’s most recent enterprise in film began in 2014. Productions to date include Arsham’s nine part science fiction film series Future Relic; a short film for Jefferson Hack’s MOVEment series; and a short film in collaboration with Adidas entitled The Hourglass. Arsham’s work has been shown at MoMA PS1 (New York); Museum of Contemporary Art (North Miami); Athens Biennale (Athens, Greece); New Museum (New York); Cincinnati Contemporary Arts Center (Cincinnati); SCAD Museum of Art (Savannah); Carré d’Art (Nîmes, France); and High Museum of Art (Atlanta). Arsham is represented by Galerie Perrotin (Paris, Hong Kong, New York, Seoul, and Tokyo); and shows with Moran Bondaroff (Los Angeles); Baró Galeria (São Paulo); Pippy Houldsworth (London); Ron Mandos (Amsterdam); and NANZUKA (Tokyo). SHENEQUA is a Caribbean textile interdisciplinary artist who received her Masters of Design in Fashion, Body, & Garment at School of the Art Institute of Chicago under the mentorship of Nick Cave and Liat Stemad. She has exhibited her works at 20th International Open at Woman Made Gallery in Chicago, IL; Design Show at Block 37 in Chicago, IL; Between the Lines: Interpreting African Symbolism in Fabrics & Textiles at The Carr Center in Detroit, MI; and cover reveals at The Alice Gallery in Seattle, WA; to name a few. A featured artist for “Ties that Bind” in American Craft Magazine and in the Kansas City Star, she spoke about her process of weaving synthetic-hair in relationship to the African-American hair experience. As a 2014 Windgate Fellow of The Center for Craft Creativity & Design and a 2011 YoungArts Winner, SHENEQUA continues to reflect, create, and expand the process of weaving beyond the loom. ÄRT MAISON is an annual celebration of fresh talent and emerging stars in the world of visual art. 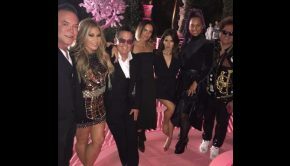 Designed and curated by DNA Atelier co-founders Duane McLaughlin and Amber Ridinger-McLaughlin, the event brings audiences into the intimate and disruptive inner worlds of its featured artists, who have included Mr. Brainwash, Retna, and CJ Hendry. ÄRT MAISON has become recognized as a “melting pot” of visionaries, industry leaders and social disruptors whose passion and talents create infrastructure to support a thriving artistic community. 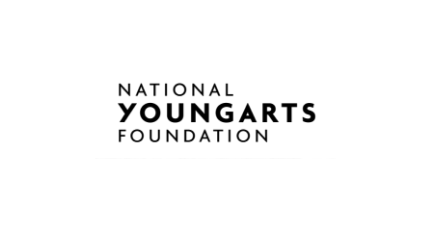 The National YoungArts Foundation (YoungArts) was established in 1981 by Lin and Ted Arison to identify and nurture the most accomplished young artists in the visual, literary, design and performing arts, and assist them at critical junctures in their educational and professional development. Through a wide range of annual programs, performances, and partnerships with some of the nation’s leading cultural institutions, YoungArts aspires to create a strong community of alumni and a platform for a lifetime of encouragement, opportunity and support. YoungArts’ signature program is an application-based award for emerging artists ages 15–18 or in grades 10–12 from across the United States. Selected through a blind adjudication process, YoungArts winners receive valuable support, including financial awards of up to $10,000, professional development and educational experiences working with renowned mentors—such as Debbie Allen, Mikhail Baryshnikov, Rebecca Walker, Plácido Domingo, Frank Gehry, Jeff Koons, Wynton Marsalis, Salman Rushdie and Carrie Mae Weems—and performance and exhibition opportunities at some of the nation’s leading cultural institutions, including the John F. Kennedy Center for the Performing Arts (Washington, D.C.), The Metropolitan Museum of Art (New York), The Museum of Modern Art (New York) and New World Center (Miami). Additionally, YoungArts winners are eligible for nomination as a U.S. Presidential Scholar in the Arts, one of the nation’s highest honors for high school students who exemplify academic and artistic excellence. YoungArts winners become part of a thousands-strong alumni network of artists, which offers them additional professional opportunities throughout their careers. YoungArts alumni who have gone on to become leading professionals in their fields include actresses Viola Davis, Anna Gunn, Zuzanna Szadkowski and Kerry Washington; Broadway stars Raúl Esparza, Billy Porter, Andrew Rannells and Tony Yazbeck; recording artists Josh Groban, Judith Hill and Chris Young; Metropolitan Opera star Eric Owens; musicians Terence Blanchard, Gerald Clayton, Jennifer Koh and Elizabeth Roe; choreographers Camille A. Brown and Desmond Richardson; visual artists Daniel Arsham and Hernan Bas; internationally acclaimed multimedia artist Doug Aitken; New York Times bestselling author Sam Lipsyte; and Academy Award winners Doug Blush and Tarell Alvin McCraney. For more information, visit youngarts.org, facebook.com/YoungArtsFoundation or  twitter.com/YoungArts. To watch a brief video about YoungArts, click here.